FILL OUT THE FORM BELOW AND WE WILL BE IN CONTACT WITH YOU SOON TO KEEP YOU INFORMED ON OUR NEXT BAPTISMS. Congratulations on taking your next step of Baptism! We can't wait to celebrate with you! Complete the form below and someone will be in touch with you soon to schedule a date and time for your baptism. Congratulations on taking your next step of Baptism! Someone will contact you soon. We can't wait to celebrate with you! 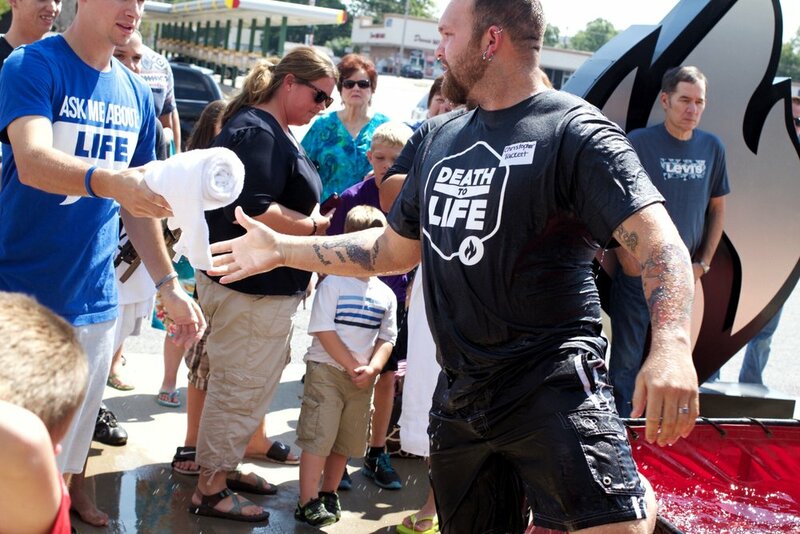 Water baptism is a time of celebration and public declaration of new life in Christ. Bring your friends and family with you to IGNITE so you can celebrate together. Any instance of baptism follows a person’s decision to trust Jesus for his or her salvation and commitment to follow Him (Acts 10:47-48). At IGNITE, we wait until children are old enough to express their own decision to follow Jesus and understand the meaning of baptism. If you haven’t been baptized by immersion since you decided to follow Jesus, we want to help you take your next step of being baptized. Once you’ve taken that step, there’s no need to be baptized again. However, if you feel lead to be baptized again, we encourage you to speak with one of our pastors. If you've taken your next step in water baptism we want to hear from you! Take a few minutes to share what Jesus has done in your life.